There are many fuel-efficient CDJR vehicles for sale near Redding at SJ Denham CJDR, but it’s still required for most vehicles in our area to pass a California smog test. Find out how a California smog check works and where you can get a smog test near Yreka with help from the SJ Denham team! What is a California Smog Check? The California Smog Check program has been developed to reduce air pollution by reducing the amount of pollution created by cars through a smog test. It is estimated that this law removes around 400 tons of pollutants from the air in California every single day. What are the California Smog Laws? Where Can I Complete a Smog Check in California? You can have your vehicle smog test taken care of at any DMV-approved stations, including the SJ Denham service center, where we have an SJ Denham smog technician to run the smog check for you. How Much Does a California Smog Check Cost? Depending on the type of vehicle you drive, the cost for a smog check generally costs between $30 and $70. If your vehicle fails the smog test, you will have to pay a moving permit fee of $50. 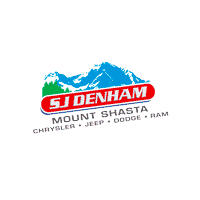 Whether you’re in need of a smog check, an oil change, or any other kind of vehicle service near Red Bluff, you can count on the factory-trained and certified technicians at SJ Denham CJDR. Take a look at our current list of service coupons, and then stop by for service at 603 South Mount Shasta Boulevard in Mount Shasta, CA.